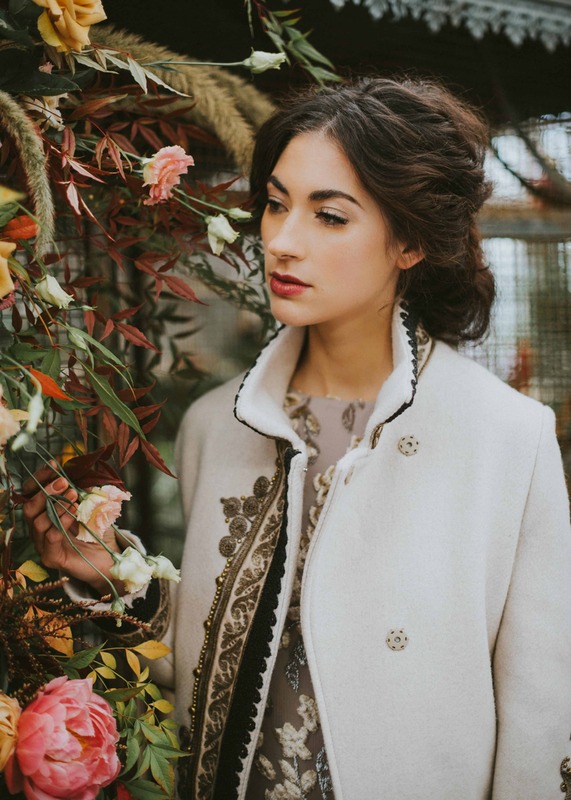 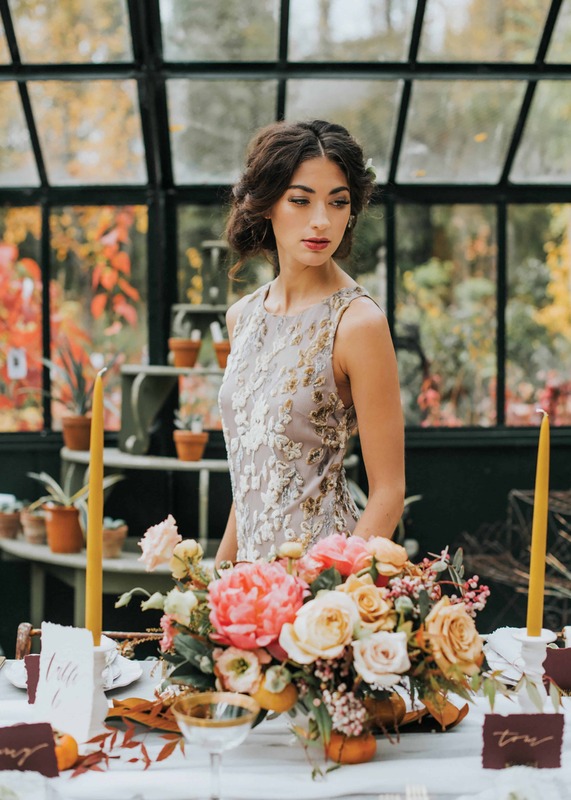 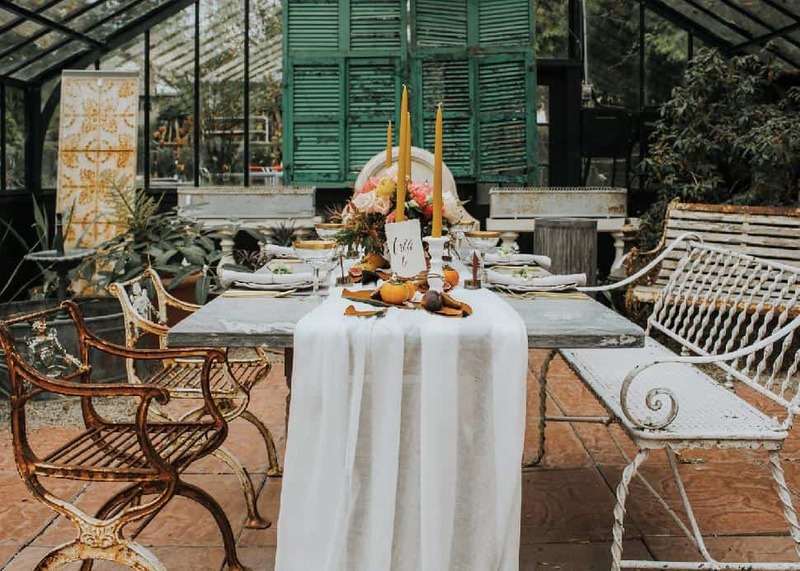 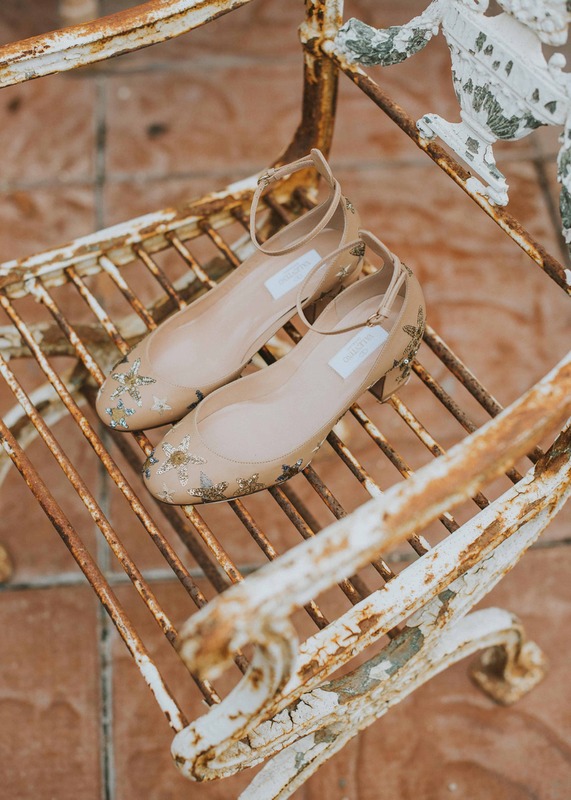 A collaborative effort between a team of local wedding experts, this elegant greenhouse shoot incorporates layers of dramatic florals, rich textural elements and European antiques to create an intimate wedding scene. 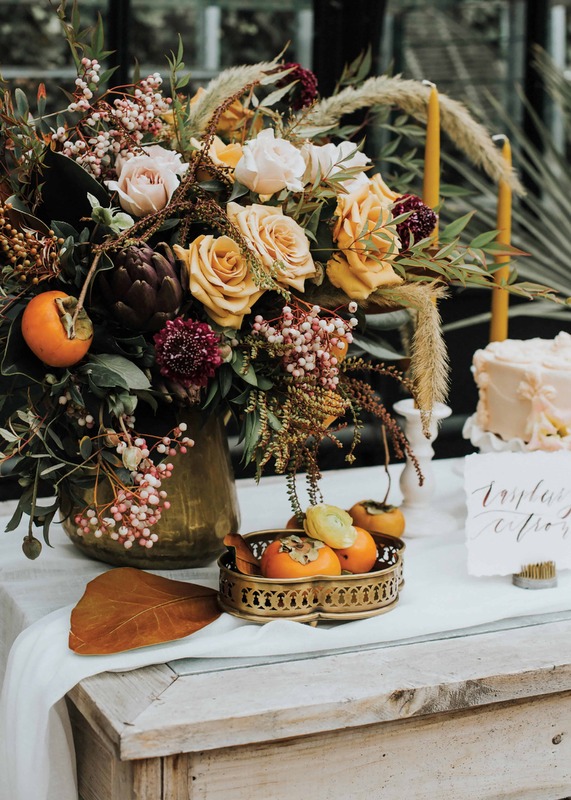 The stunning floral design and tablescape by Jessica Clark of Quince Fine Florals is bursting with rich autumn colours. 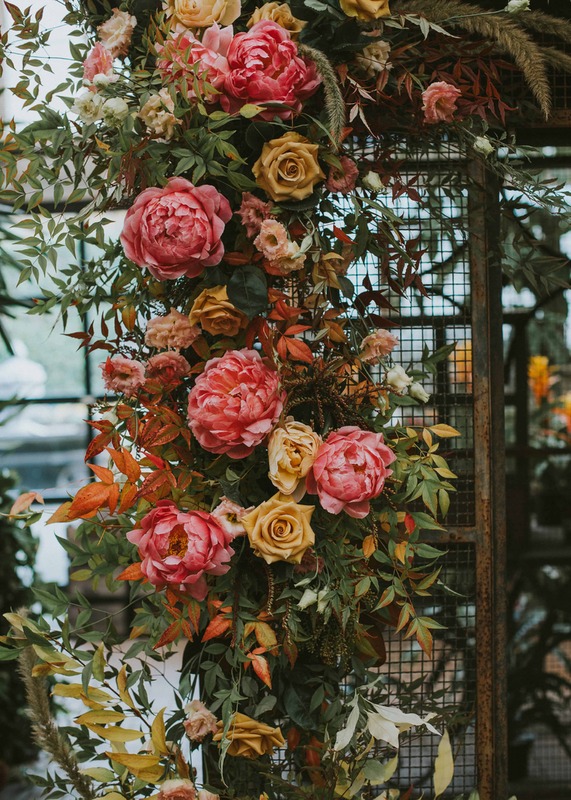 Giant pink peonies add a fun pop of colour to the darker palette. 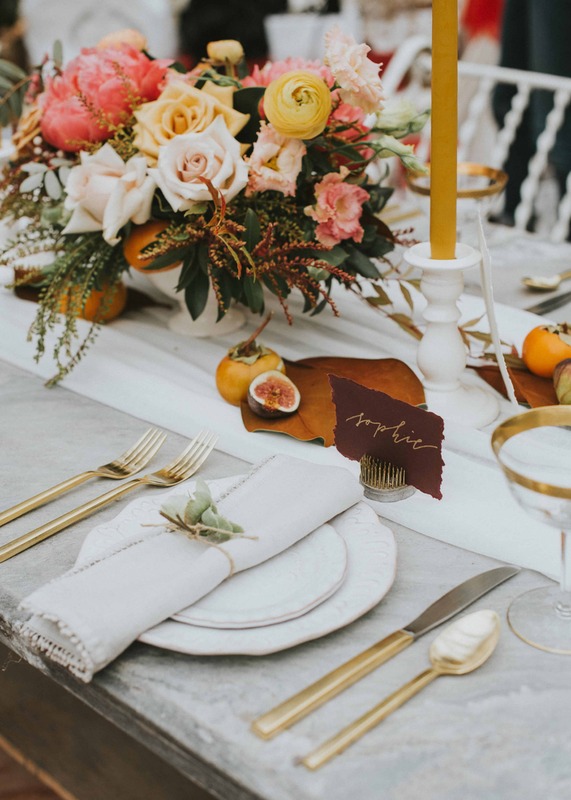 The tablescape was kept quite simple with golden persimmons and figs to complement the pumpkin-coloured candlesticks and romantic florals. 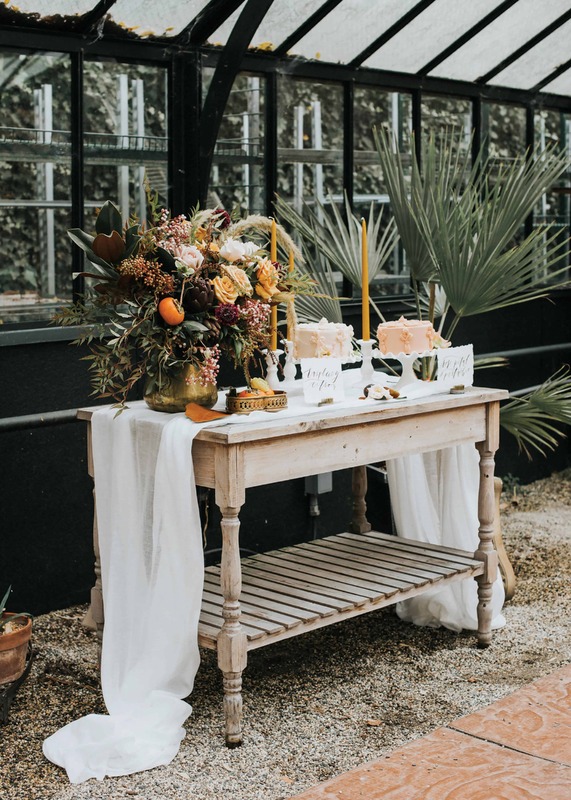 Tabletop accents were provided by The Cross Decor & Design. 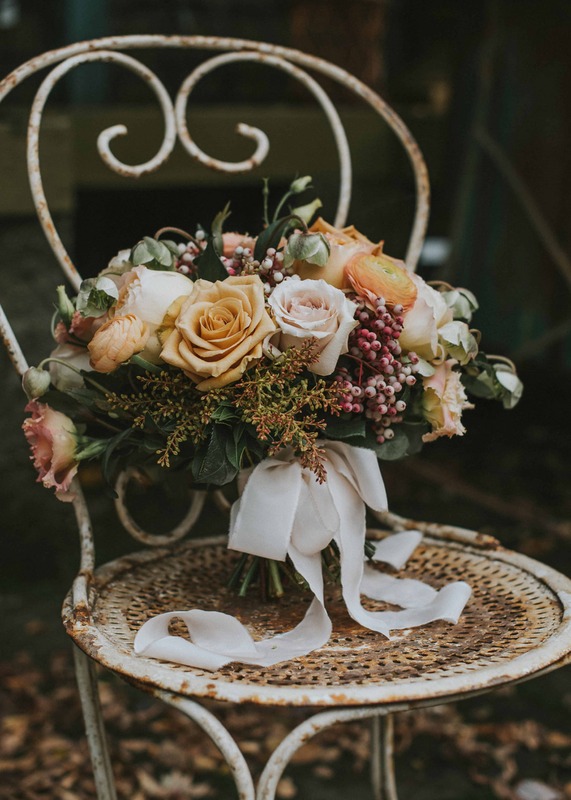 A large copper jug held a spectacular floral arrangement that included burgundy artichokes and rust-coloured roses. 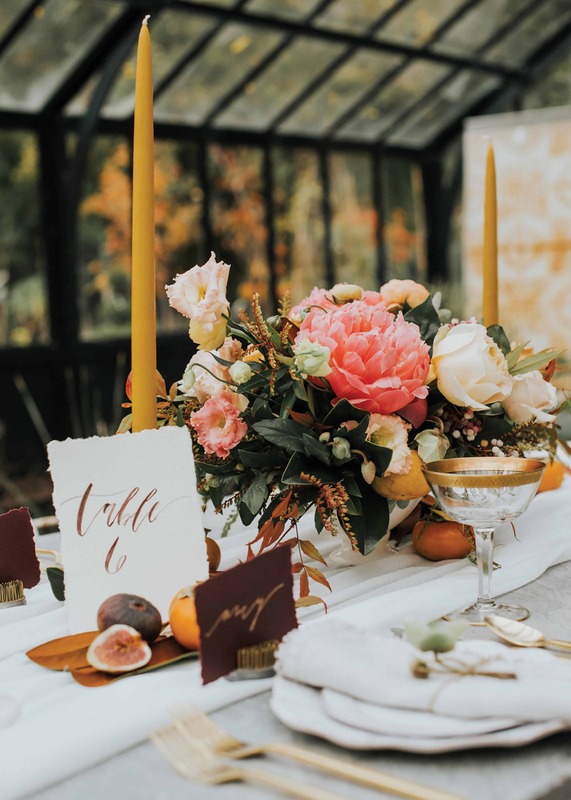 Calligraphy by The Wolf and the Wildflower added a handcrafted touch to the tablescapes. 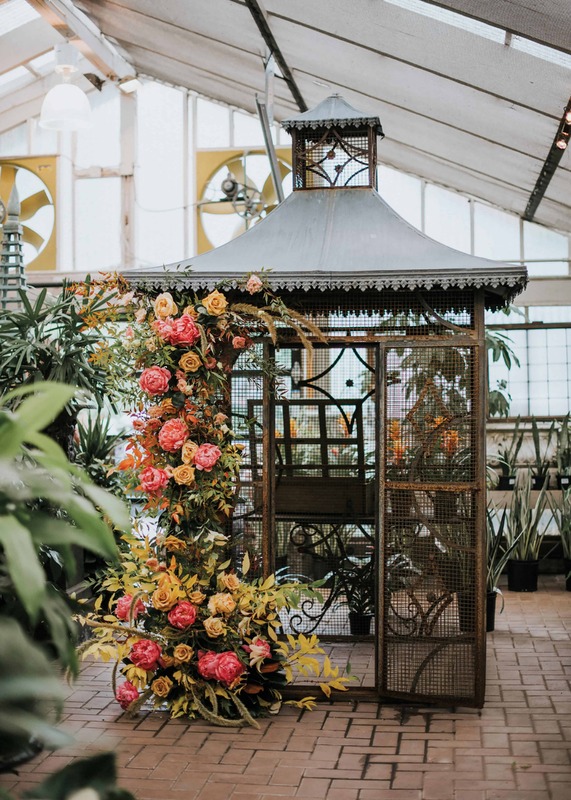 An antique bird cage is decorated with cascading foliage to create a whimsical wedding arch. 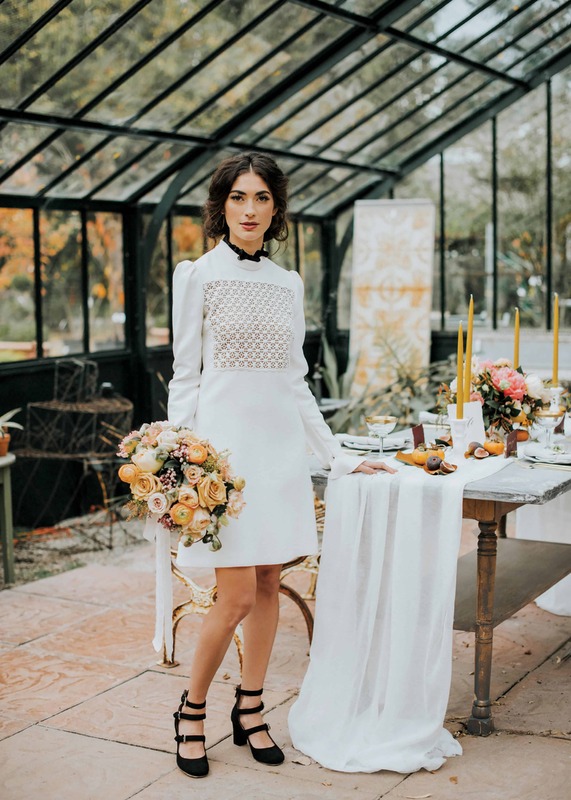 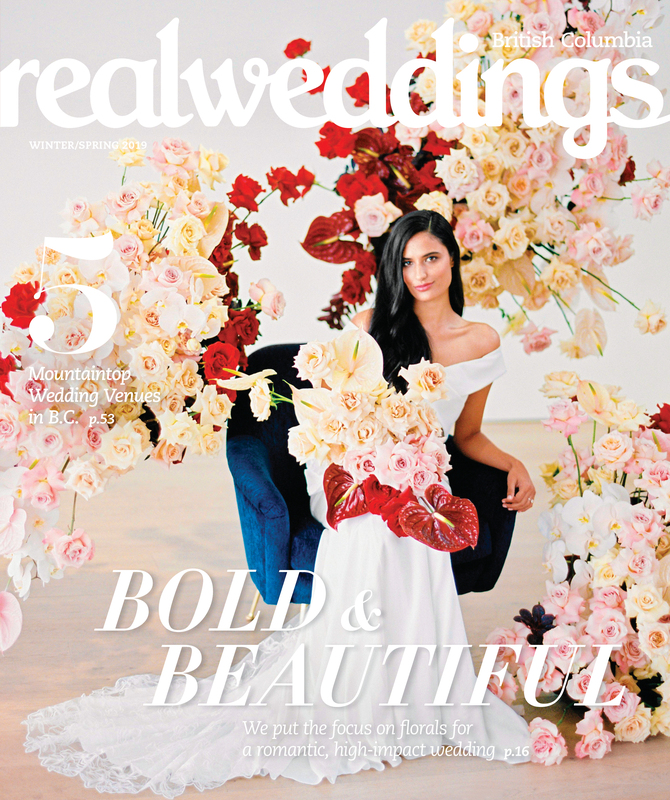 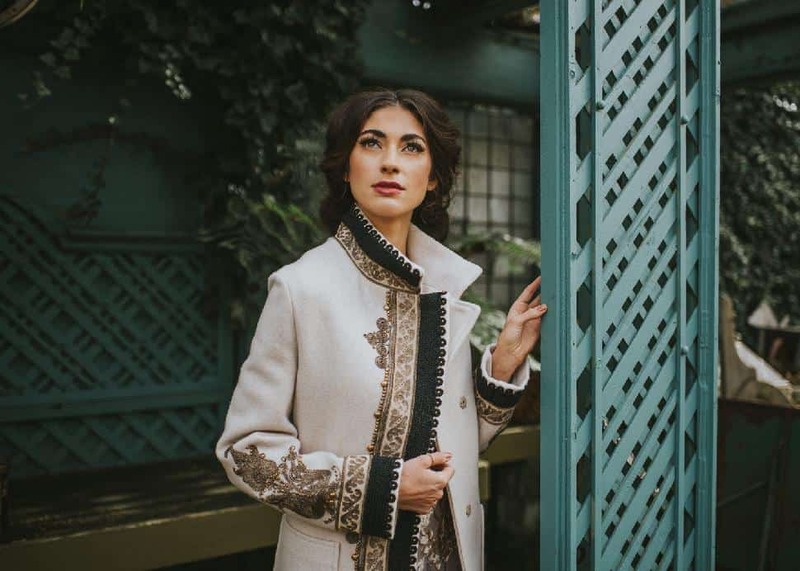 Local retailer BOBOLI steered away from traditional bridal looks and instead selected fashion-forward couture gowns like this velvet floral Etro dress. 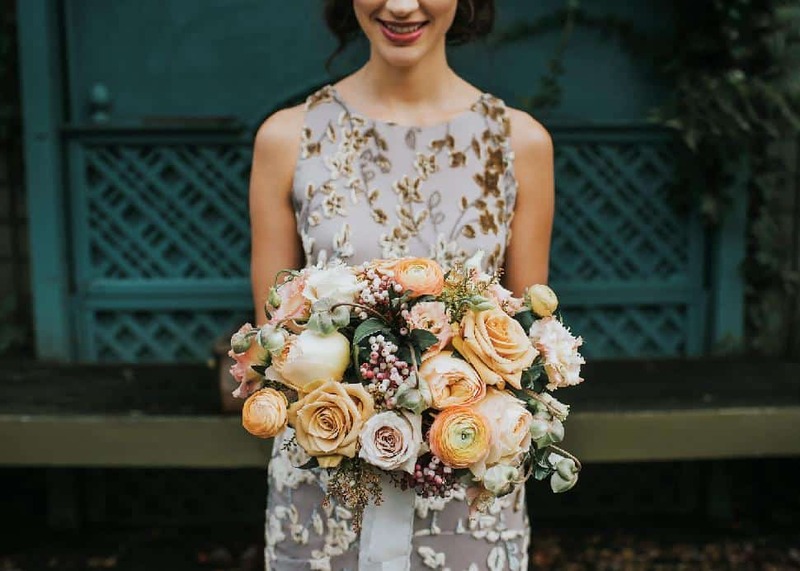 The bouquet design included seasonal flowers like ranunculus and rowan berries. 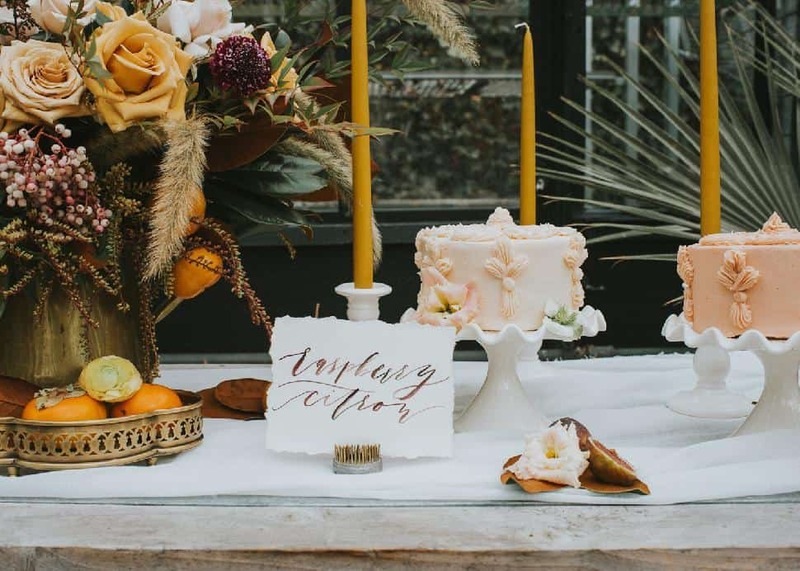 Intricate butter-cream cakes by local bakery Butter Baked Goods add to the vintage feel. 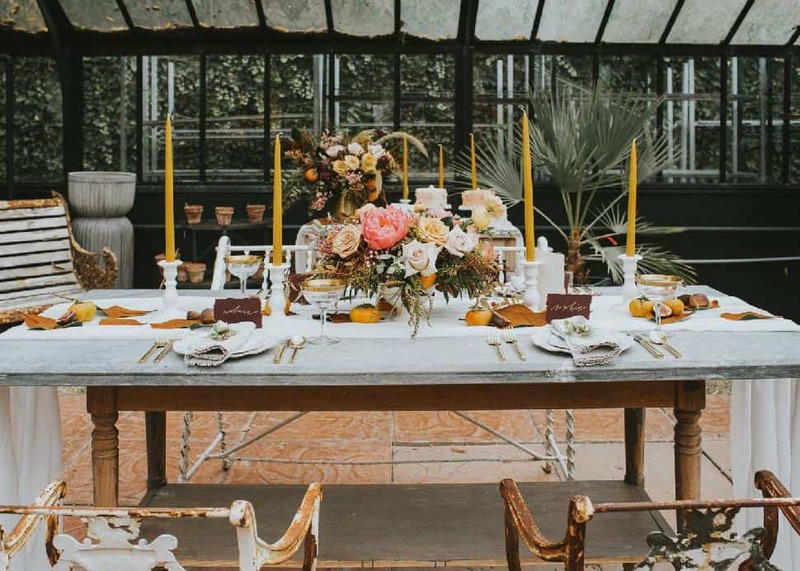 Southlands nursery's gorgeous European antique tables and chairs were the perfect match with the gold-rimmed antique crystal champagne glasses and modern gold cutlery. 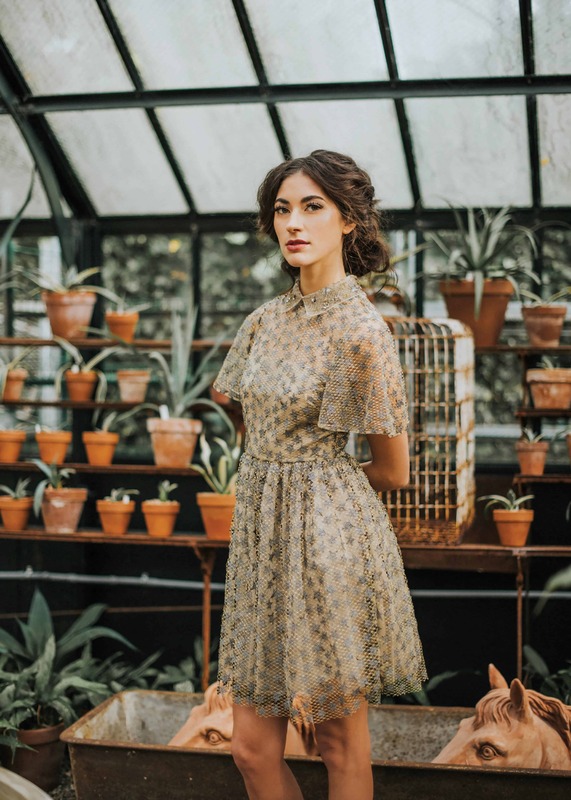 A starry embroidered chiffon dress by Valentino creates a dreamy bridesmaid look. 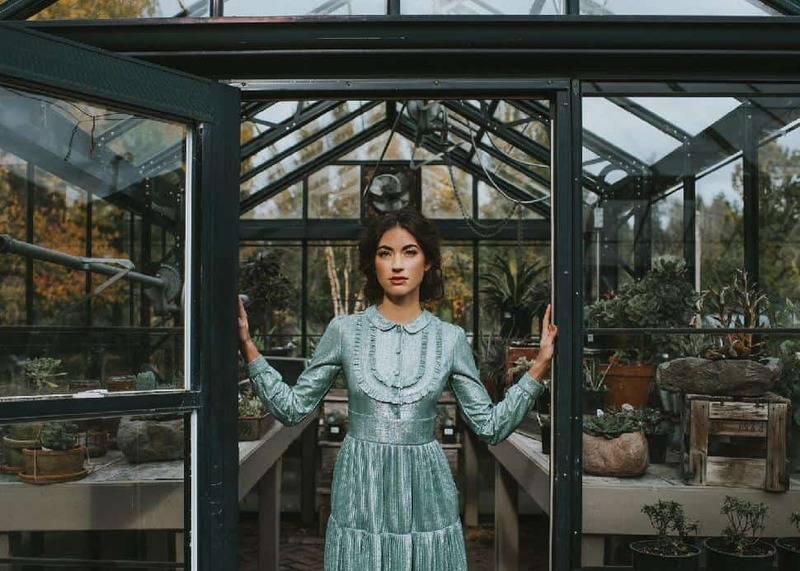 Southlands Nursery was the ideal backdrop for the shoot with the greenhouse letting in plenty of natural light. 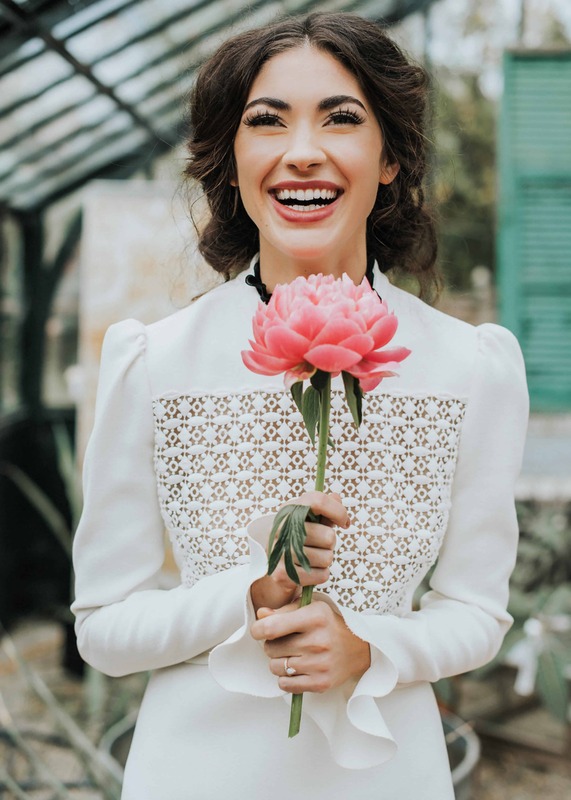 The model wears a Lurex jersey dress by Blumarine. 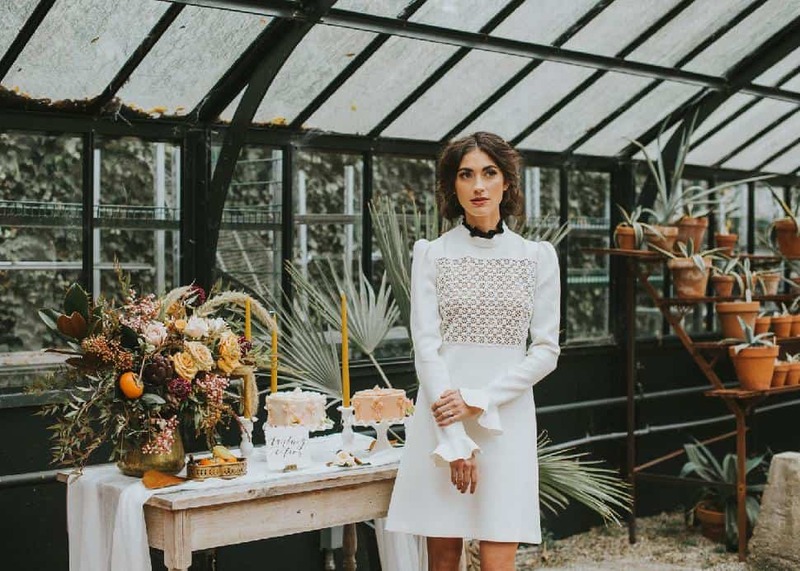 This white Giambattista Valli frock is a beautiful non-traditional bridal option.